You know those friends in your life that you feel like you could ask ANY question to, and not only do they have an answer- but they also have a note of encouragement as well? That is Carrington for me. She is insanely wise beyond her years, knows everything there freaking is to know about health, and is the sweetest ever! 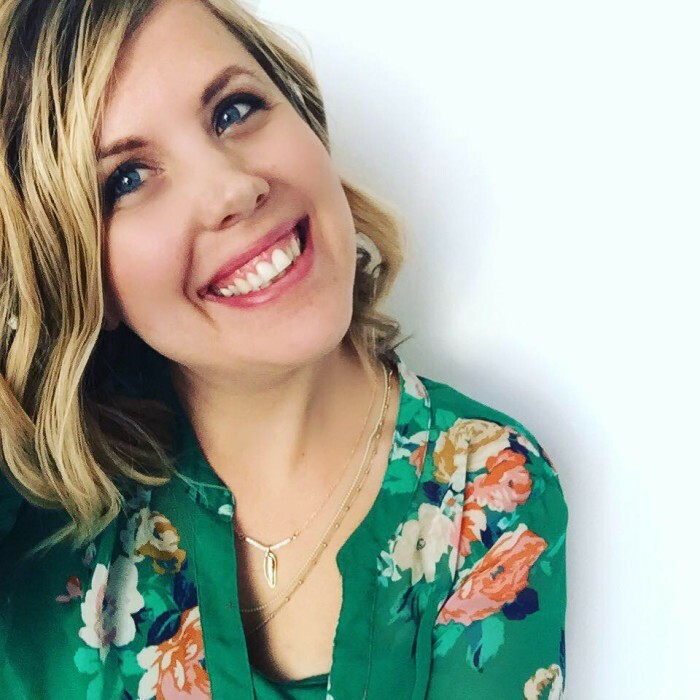 I go to her frequently for guidance on keeping my family healthy, and keeping myself sane:) I wanted her to have a platform where she could share some of her expertise, and I really think you guys will love this. Thank you SO much for writing this up Carrington! One thing that I felt like no one really explained to me before I became a parent is how hard it would be when your kid gets sick. I didn’t really picture us taking time each month to deal with fevers, runny noses and irritable babies. I didn’t know that when one kid got sick, it would travel to the next one and the next one. So instead of being sick all at once, they would be sick in succession and I would spend weeks trapped at home. I didn’t know that I would be up all night with them, taking them to doctors, having to feel guilty constantly about saying no to social things and having them miss school. Even after four kids, the emotions I have when my kids get sick never seem to get easier. I’m such a wreck, helpless, scared and worried and wishing there was anything I could do to help them feel better. I have learned so much through the years, and as impossible as it seems, there are things you can do to keep them healthy all year long. You can take them to the zoo and let them lick the hand rail (just my kids? No?) Or send them to preschool where they don’t understand personal space and hug 5 kids with runny noses. Germs are not the problem. We don’t need to be sanitizing everything; we need to be building up their bodies to fight off everything they encounter. I have spent years researching holistic health, healing remedies and trying supplements on my kids. 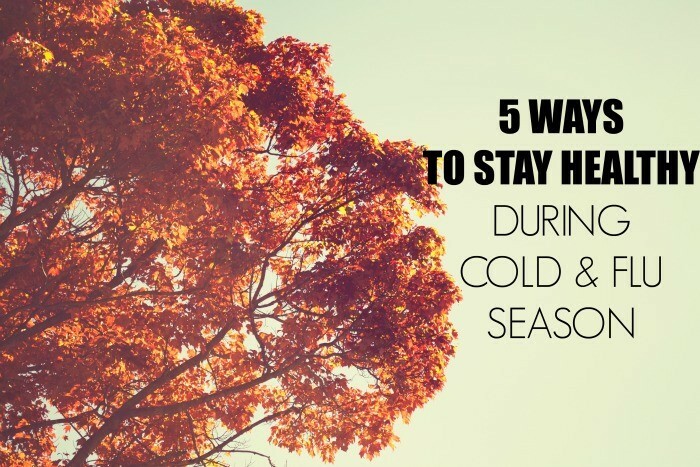 I have been trying to put the pieces together of how to keep their immune systems strong and to keep us from spending the whole winter in the house, not feeling well! Nutrition really is THAT important. It’s the base of all health. Any little bit you can do to improve this during this time of year, will help them. I know that this is easier said than done. Snacks and breakfasts tend to be where most of the processed food comes in. I would try making a green smoothie in the morning for everyone. It’s quick, easy and full of nutrients. For snacks, try focusing on easy fruits like bananas, pears, apples and oranges. I like to make protein bars and snack balls. (it’s like 5 ingredients blended in your blender and then rolled into balls and put in your fridge. The kids love to help make them and you can make enough for the whole week.) Stay away from juices and other sugary drinks. If your kids expect them, start limiting to once or twice a day and slowly switching them out and help them get used to just water! It can be done! Our bodies are constantly being bombarded with radiation and harmful EMF exposure. It damages the thymus gland which is a huge part of our immune system. It really disrupts their nervous system and development, which can cause so much stress to the body. It shows up with children that have anxiety, trouble calming down, take a long time to get over a cold, and have difficulty focusing. Children are especially sensitive to this as their little bodies are growing. Look for ways to reduce their exposure. We turn off our WIFI at night, limit any and all electronics in their bedrooms, limit T.V., IPAD, IPHONES and computer time. It’s impossible to avoid all of it though and so grounding each day is really important. When you can put your feet on the ground (with no shoes), the earths energy pulls the radiation out of the body and neutralizes it. 30 minutes a day outside is incredibly healing to their little bodies. Our guts contain almost 80-90% of our immune system. We need a balance of good bacteria and bad bacteria to have a healthy immune system. Eating probiotic rich foods, limiting antibiotics and taking a probiotic is the most powerful shift you can make to build a strong immune system. You want to find a probiotic that has multiple strains because they effect different parts of the gut. You want to find one that doesn’t have sugar and other gross things added to it. My kids absolutely love this one. You might be wondering if supplements really DO anything and if they really are important? I will tell you that it’s really hard to have a perfect diet for our kids. Even if we were somehow able to achieve that, the soil that food is grown in is considerably depleted of minerals. We are not getting what we need from the food we eat. So the vitamins and minerals that their little bodies need will have to come from supplementation. The tricky part is remembering not to run out and to be consistent with them. (This was always my weakness!) When looking for a supplement, find one that is organic, made from whole foods (nothing synthetic) and doesn’t contain lots of sugar and additives. Stay away from the drug store and Costco. Buy top shelf brands. (The industry isn’t regulated, so you get what you pay for!) For immune building during cold season, my favorite supplement is ACF by Buried Treasure. It combines so many great things (vitamin D, vitamin C, zinc, elderberry, silver, Echinacea) and is less expensive than buying them separate. I have found that it is easily assimilated and works QUICK if they start to come down with something. You can find it here. I enjoy using many different combinations of herbs, homeopathic remedies, flower essences and teas to heal many different ailments, but one of my favorites is essential oils. They are so very powerful. I do not think that most people realize how strong essential oils are, and how they are distilled. It is like the difference in using a fire hose to put out a fire instead of a water gun. They have immediate and long lasting effects. These are my favorites for this season, and how I use them:Thieves: I add 10-12 drops in some coconut oil in a mason jar that I keep next to my kids’ bed so I can rub it on the bottom of their feet each night. I rub a drop of it on the back of their ears as soon as they get home from school. I make my own DIY cleaner to spray down countertops and places around the house. And when/if they get sick I diffuse it in their rooms at night while they sleep. Thieves does NOT MESS AROUND and destroys pathogens in its path. Ha! RC: Upper respiratory illnesses seem to be the biggest thing my kids struggle with during this time of year and it makes sense as our lungs are trying to detox during this season. RC is powerful at fighting these infections and supporting the lungs. I will rub this with a carrier oil on their chest and diffuse it in their rooms. Clove: Clove oil is such a power house because it is anti-viral, anti-bacterial, anti-parasitic, anti-fungal, anti-microbial and a strong anti-inflammatory. I enjoy diffusing clove in my home because it smells festive for the season and completely fights infections all day long. I have made a teething ointment with it since it is great for oral pain, and I find it effective when rubbed on the back of the spine while sick. You can grab those three through Adrianne HERE. Have a happy, healthy winter season! Hi! I’m Carrington! I’m a Certified Holistic Health Coach and owner of Organic Life Love. I work with frazzled mothers whose self-care is so far down the line it’s fallen off. I help them create a healthy, harmonious lifestyle for themselves and their families and in the process, manage their weight and energy levels and find their passion for life. Give yourself some lovin’ and grab 7 days of smoothie recipes here.